Innovation and creative thinking about Maternal and Child Health services are being encouraged to support vulnerable families at the early stages of a child’s life, under a $950,000 fund announced by the Andrews Labor Government. The Andrews Labor Government is getting on with the job of delivering a Personal Safety Initiative for women and children who experience family violence, to help keep them safe in their own homes and communities. The Andrews Labor Government is delivering on its commitment to make Victoria the Education State by establishing new LOOKOUT Education Support Centres to help ensure vulnerable children and young people in out-of-home Care stay in education. In another important step towards securing the Special Needs Plan for Victorian Schools, the Andrews Labor Government today announced a dedicated leader to work exclusively with schools in supporting students with challenging behaviours. 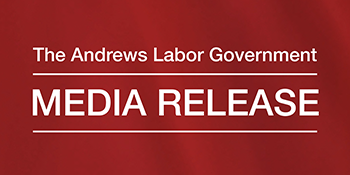 The Andrews Labor Government has introduced new measures that will provide fairness, certainty and security for families and their energy bills, announcing changes to key legislation today. 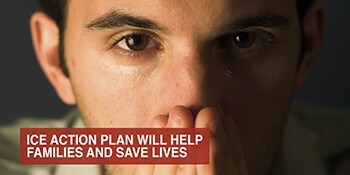 The Andrews Labor Government – on the advice of Victoria Police and health and legal experts – will embark on a landmark, $45.5 million effort to reduce the supply, demand and harm of a drug that’s ruining lives.